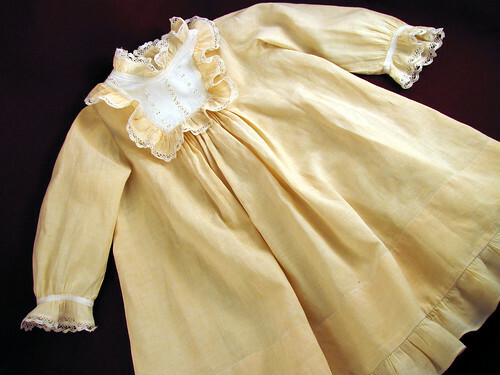 I am just going to put all 4 photos of two baby dresses in one post. Lots of photos make the post take a long time to load. Hopefully it doesn’t take too long. The beige dress is the one with a rip down the back. The fabric on the back of the one sleeve has started to split too. 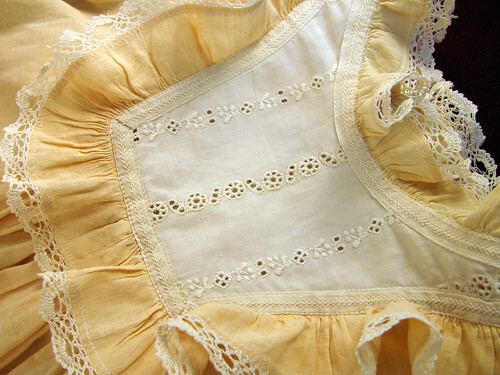 It is hard for me to throw out because the eyelet fabric in the bib is hand embroidered. 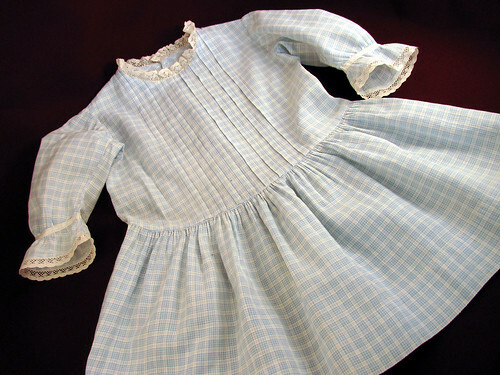 Both dresses have cotton lace at the neck. It isn’t scratchy like polyester laces so prevalent now. The sleeves are cut with a curve at the inner arm and the seam is set forward in the armseye. Both dresses use the same feather stitched trim. I like how it is used to gather the cuffs and make a self ruffle at the edge of each sleeve. I works well around the baby dress bib too. 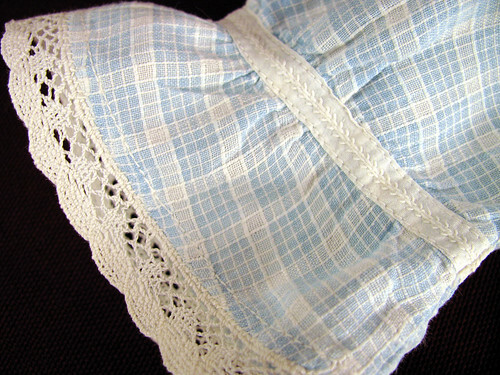 This entry was posted on Wednesday, March 25th, 2009 at 3:00 am and is filed under Sewing and Vintage. Tagged: Clothing, Sewing, Vintage. You can feed this entry. You can leave a response, or trackback from your own site.